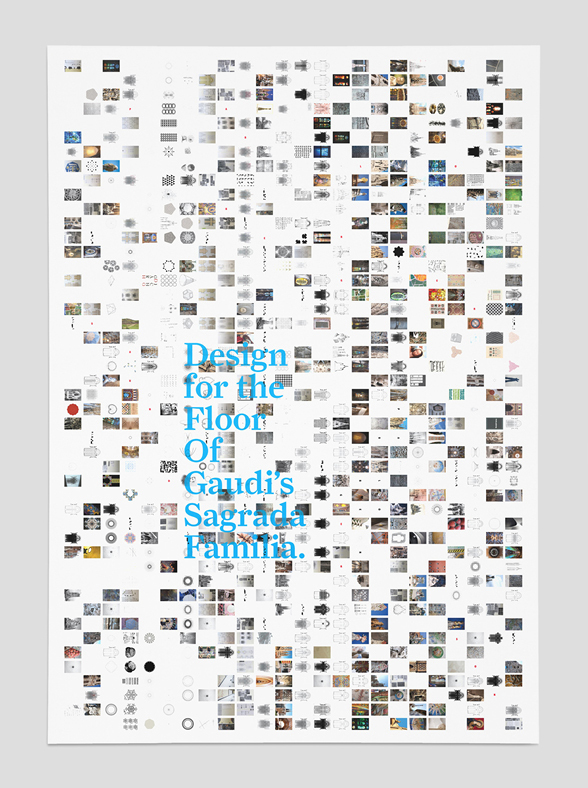 Design of the publication for the design of the Sagrada Familia's floor. The dust jacket folds out to create a double sided weltformat poster. Gaudí left no plans or direction for the design of the floor. The design process for the creation of the Sagrada Familia floor echoes the temple's unfinished exterior and interior, all while heightening and building upon Gaudí's masterpiece. The floor creates and reinforces relationships between the inside and outside of the building. The floor, as does the building, tends towards total unity and simplification through its structure, narrative and symbolism. The floor interweaves a grand constructive narrative where textural, chromatic, and decorative inferences, as well as radical changes of form and materials, produce a poetic discourse rich in metaphor, myth, and ritual. 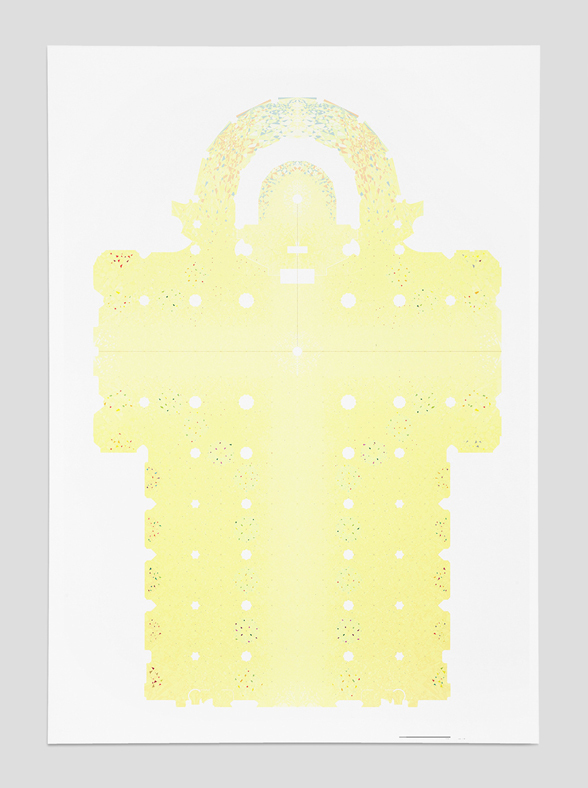 architecture is the ordering of light, sculpture is the play of light and painting is the reproduction of light through color, which is the decomposition of light. a floor should try to be all and none of these.